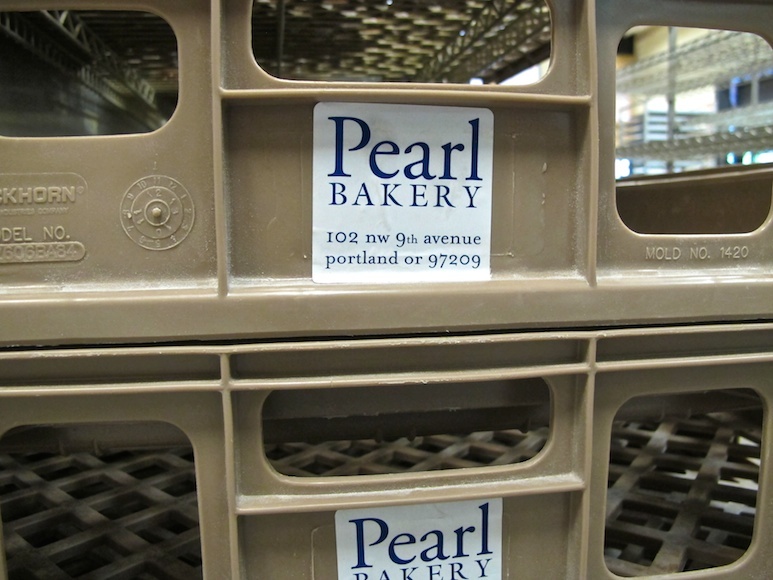 Pearl Bakery is located, appropriately, in the Pearl neighborhood of downtown Portland. Just a block from the infamous Powell’s Books, you’ll find it on the corner of 9th & Couch. Service here is great and it’s always well staffed. You order at the counter and whatever is fresh out of the oven, is displayed in cases in the front. There’s plenty of open space up front, with a tall counter along the windows for people watching and plenty of tables in the center. It’s a lively place at most hours of the day. If it’s raining (which it does a lot), it’s a great place to spend the afternoon taking in the delicious smells from the kitchen as you have a pastry or coffee. We’ve visited here several times and talk about awesome. 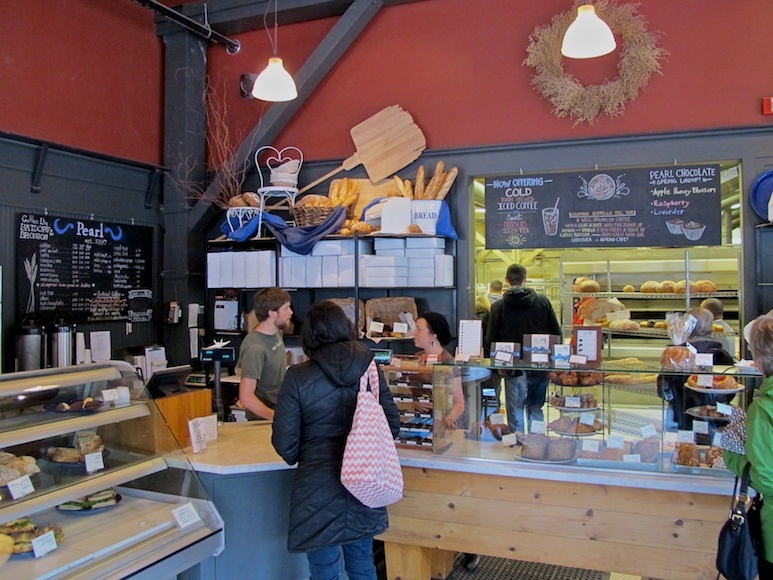 If you’re into pastries, breads or baked goods it would be hard to find a better place in Portland. 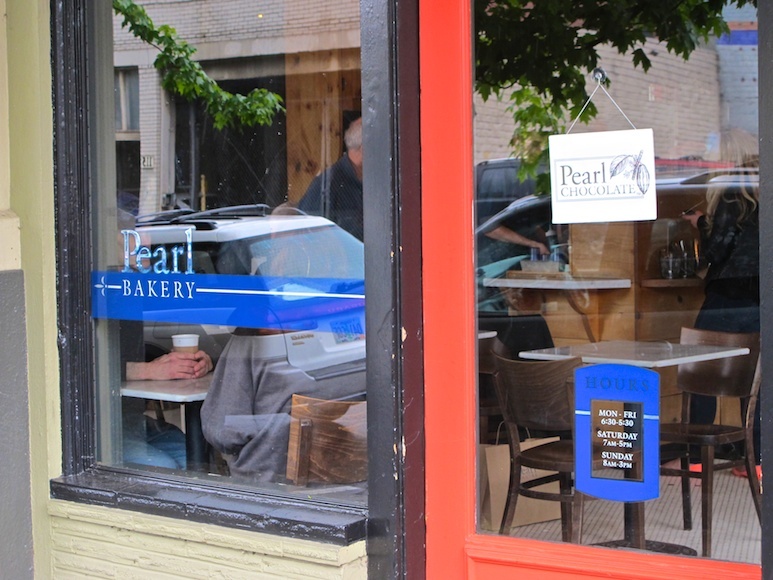 Pearl serves up the best of the best not only in their retail location, but also supplies most of Portland’s top restaurants with their baked goods. 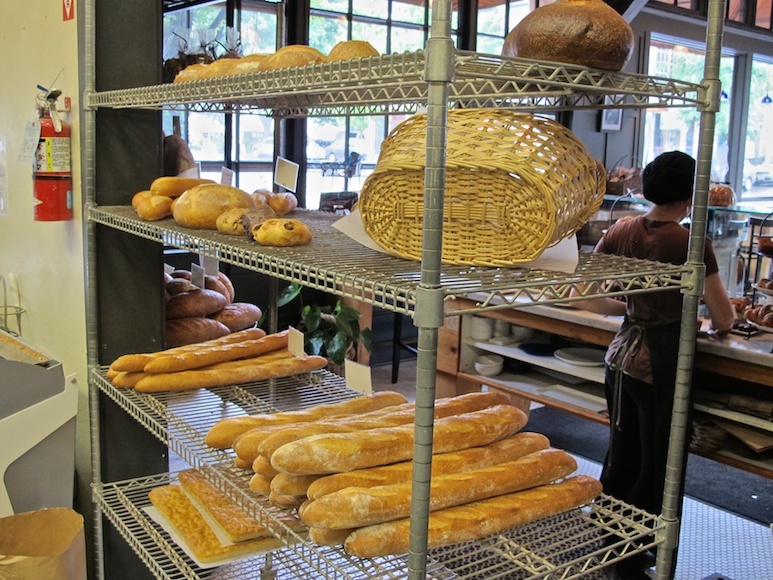 In addition to baked goods, they serve a small selection of sandwiches and salads at both lunch and breakfast. You need to get here early, because many of their popular items sell out quickly. 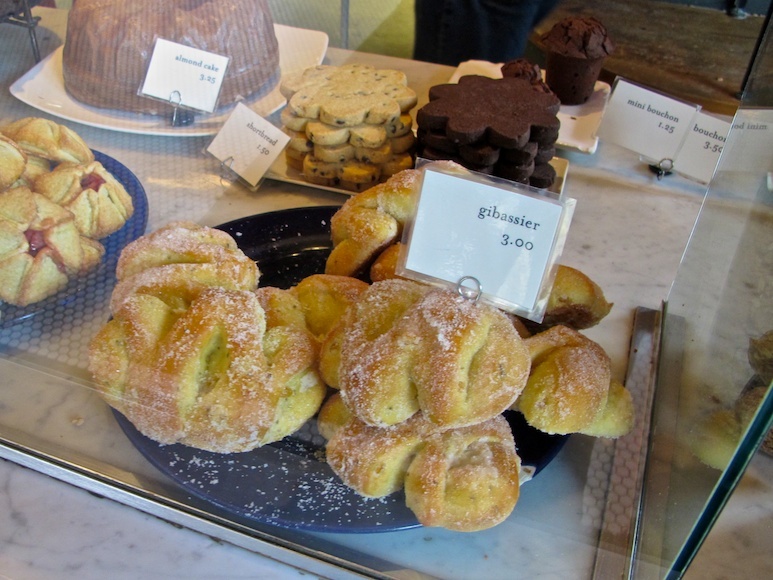 Our favorites were the gibassier, croissants and pain auxe raisins. While the macarons weren’t as good as those you’d find in Paris, they’re definitely some of the best in the US. I don’t think you can really go wrong with anything here. 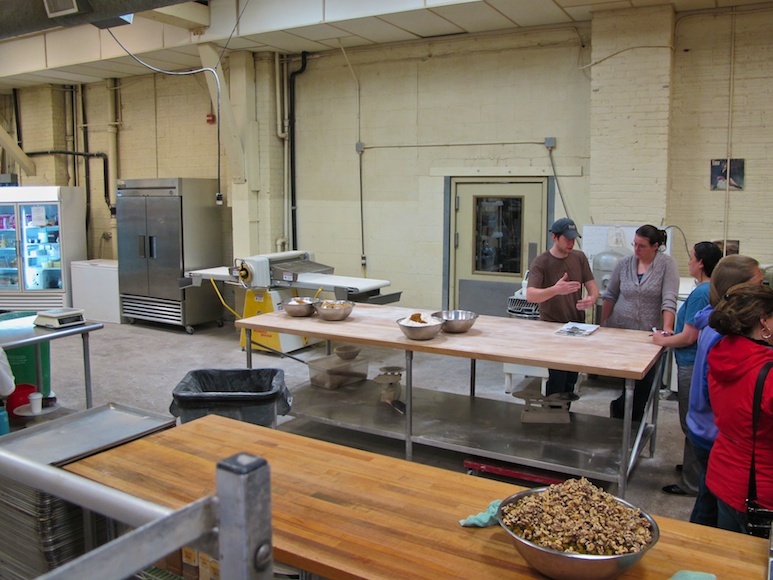 On our first visit, we were fortunate enough to tour the kitchen during a tour with Portland Walking Tours. This a place where almost everything is made by hand, using state of the art baking equipment. And you can tell. The only disappointment here is that they don’t keep later hours. They close around 5PM each day. Since the Pearl is one of the more popular neighborhoods in Portland at all hours of the day, this place could make a killing if they were open a bit later.